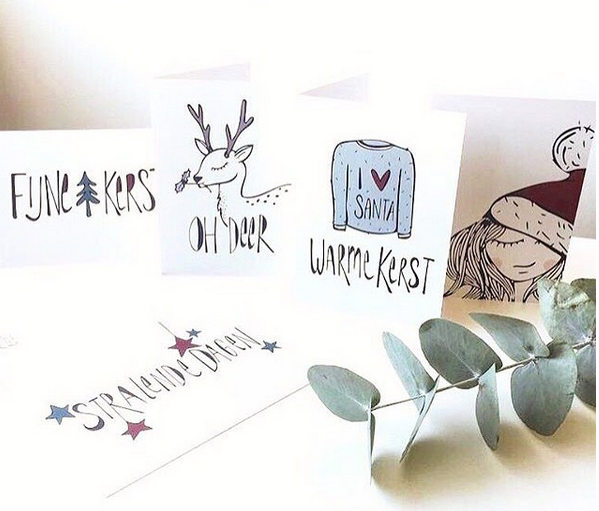 We're back today with a new post from our "A Holiday Vignette" series and from the home of Dutch illustrator Milou van der Helm based in the south of Holland. 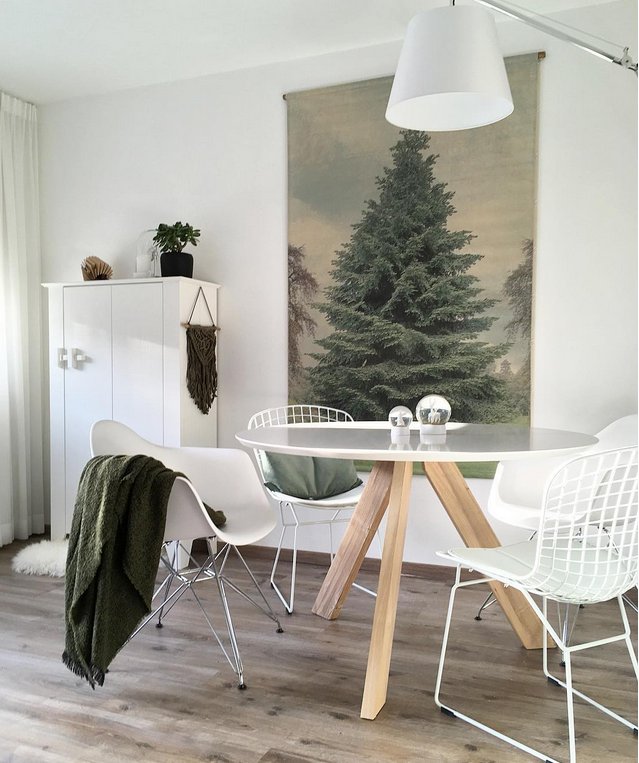 We found her via instagram and love her modern, Scandinavian aesthetic. Lots of white, modern and a little vintage. We asked her a few questions about her holiday home. Love your cozy dining space, can you tell us where you got the chart? The XL chart is from a very nice brand, HK Living. Dinner with the family and we give each other presents and I love making the house extra cozy for the holidays. Can you tell us a bit about this lamp? 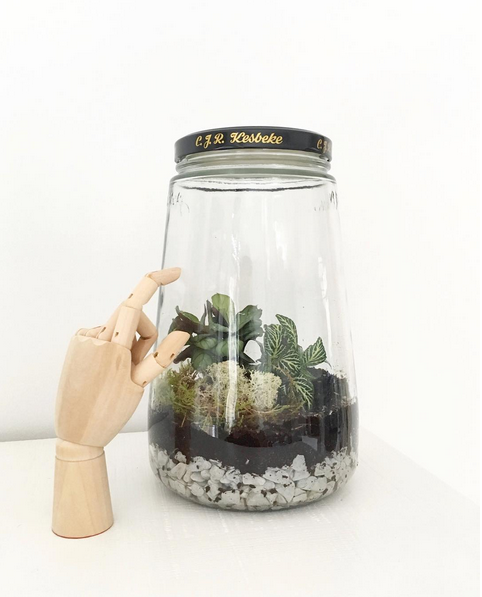 It's a large pickle jar you can order online from Kesbeke here in the Netherlands. 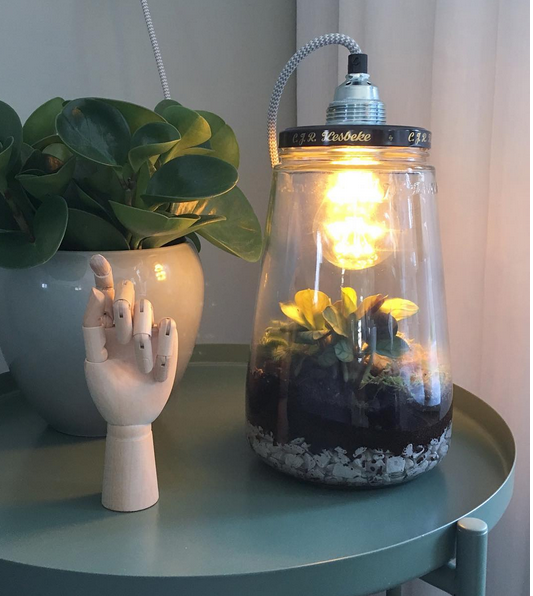 I bought one with the lamp and one without on their site. You can also buy a DIY kit. And then I just added stones and a plant. Love your design aesthetic, what are your influences? I think a mix of Scandinavian modern and a little vintage. What is your go to for the holidays? One of my Christmas cards maybe? Hmm... I can't really feel much Christmas in this vignette. 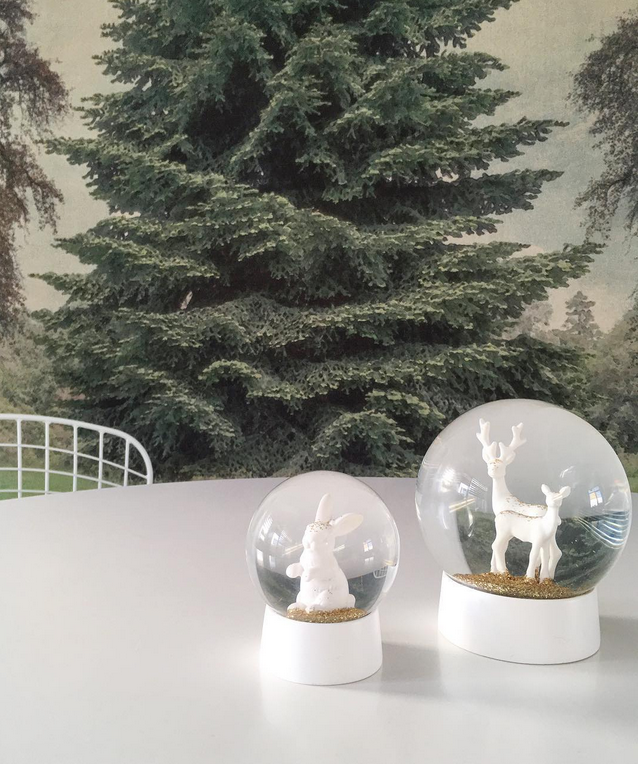 The snow globes on the table are beautiful, beyond that, I'm underwhelmed. Excuse me, I used the word "Christmas"...how completely incorrect of me! Substitute "holiday" in place of the word "Christmas" in my comment.